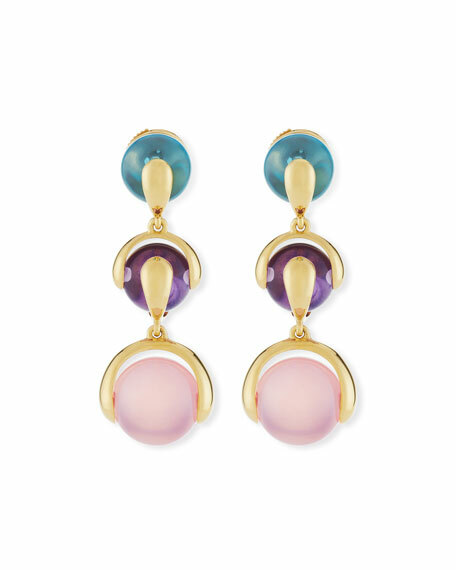 Marina B earrings from the Cardan Collection. Graduated blue topaz, amethyst, and rose quartz drops. For in-store inquiries, use sku #2066882.